A phenomenal first week of jumping for Team DLS back again at Zilveren Spoor in Moorsele, Belgium. There were so many highlights we're not sure where to start! David took the victory the Longines Ranking class on Neil Torburns' mare Curly Sue with a fantastic and quick double clear. Charlene Bastone beat both the bosses on Fyberlinus H, relegating Louise to 2nd place in the Friday Speed Class and knocking David off top spot in the 1m30 final on Saturday, giving DLS multiple 1-2's. 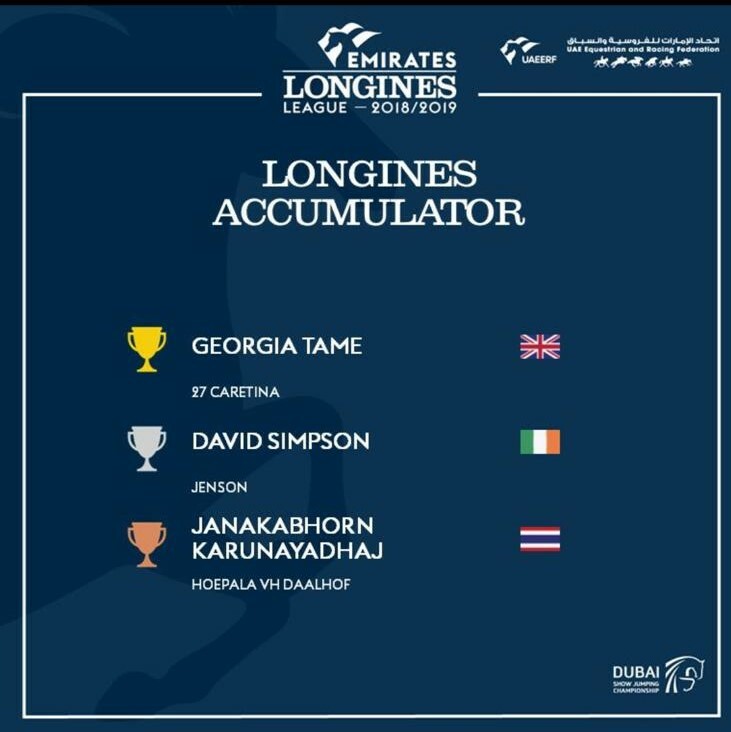 To round off the week DLS completely took over the the leader board in the Grand Prix with four horses in the top five. Louise emerged as the eventual winner with a fantastic round of jumping on First Colt jointly owned by A R A Equestrian and Breen Equestrian. Many thanks to all the team this week, results like this don’t happen without some serious support. Long may it continue. The Spring Tour in Lummen is a huge two week show, incorporating a CSI3*, CSI1* and CSIYH1* classes for 5, 6 and 7 year olds. With 750 horses stabled at any one time, and ranking classes with up to 200 horses it is one of the most important trading shows of the year. I took Global van't Braunerhof, Arantos, Fiona van het Lemmenshof and and the Crossfield's Clear the way for the CSI3*, Louise took Sacripan la Chapelle and Paul Gill's Richi Rich for the CSI3* and Claire Inglis' Renkum Dorenda for the 7 year olds. Helen Cruden took her own Limestone Diamond and Little Penny for the CSI1* and we the horses were all looked after by Robyn Clohessy and Ludo Langton. Louise was also riding several young horses for Brendon Stud. Week one went extremely well. It was Louise's first show with Richi Rich who jumped really well, and both Global van't Braunerhof and Arantos jumped very well in the ranking classes. Clear the way jumped very well all week, coming 2nd in a 1.35 and 3rd in the 1.35 Grand Prix. Renkum Dorenda also had a fantastic week, 3rd the first day, 2nd the second day and then won the Seven Year Old Grand Prix. Helen also jumped consistently well on both Little Penny and Limestone Diamond in the CSI1* classes. Week two got off to a great start when Renkum Dorenda was 3rd in the 7 year olds on the first day, but sadly Louise had a crashing fall in the warm-up on Wednesday, breaking her shoulder blade and doing considerable ligament damage which was a very sad and painful end to her show. The three star horses continued to jump very well, and Helen recorded several placings on Limestone Diamond in the CSI1*.